the xray doctor: Where is all the contrast on the CTPA?! 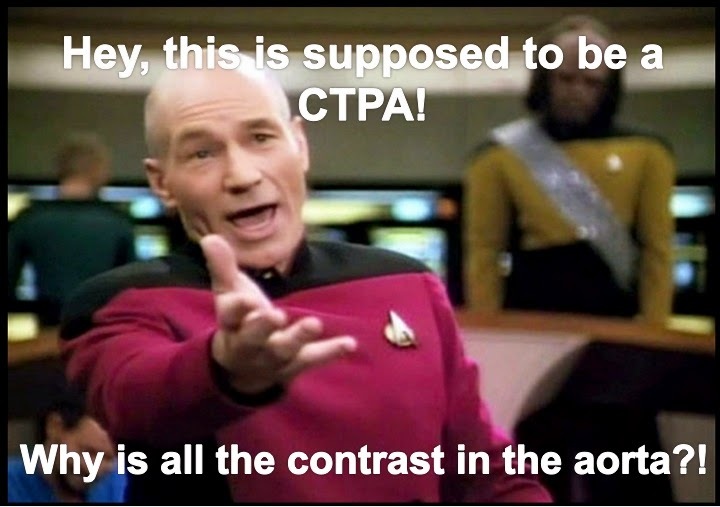 Where is all the contrast on the CTPA? !